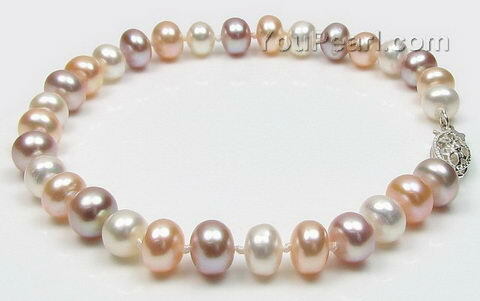 This lovely bracelet is knotted between each pearl, and finished with a sterling silver clasp. Good quality and luster. The colors are not as vibrant as sh ..